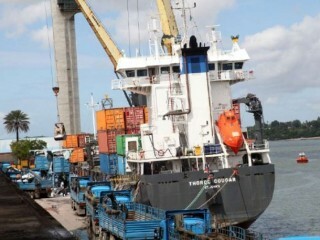 Comesa is looking to roll out a digital free trade area – the first in Africa – modelled along the Malaysian Free Trade Zone, where parties to a transaction are connected in real time through a web of ledgers that are secure. The application also supports generation of an electronic certificate of origin whose authenticity can be verified using national information technology systems. “We are rolling out the Digital FTA in 2018, beginning with willing member states on the basis of the principle of variable geometry,” said Comesa spokesman Mwangi Gakunga. “The e-certificate of origin is a good practice around the world but Comesa will be the first regional economic bloc in Africa to have it as a regional FTA instrument,” he added. “We have developed a mobile application for cross-border traders which shall be launched in the countries that are involved in the simplified trade regime. We shall integrate them to Customs and other agencies and also to the Comesa centre,” he said. The participating countries are Kenya, Uganda, Rwanda, Burundi, Democratic Republic of Congo, Sudan, Ethiopia, Egypt, Seychelles, Malawi, Mauritius, Madagascar, Swaziland, Zambia and Zimbabwe, which are all part of Comesa’s Simplified Trade Regime that allows traders with goods valued at $1,000 or less to access cross-border markets duty free. “The risks are there but they can be mitigated. There must be software to prove that the electronic certificate of origin is authentic so that tax authorities can read it,” says Chris Kaijuka, the managing director of grain exporting company AfroKai Ltd.
“But I welcome it. We wanted the e-certificate of origin which helps me on taxation,” he says. “Someone brings in goods from outside Comesa but declares them as of Comesa origin, which they are not,” Mr Kaijuka adds. The financial services sector for counterparties makes easy money in international trade deals – globally totaling to $100 trillion – because the importing party in most cases does not know or trust the exporting company. Within the Comesa region alone, some $450 million is paid to commercial banks annually to confirm letters of credit. “Let’s say you are an exporter from Zambia and you are exporting to Egypt, it will be accounted for because all these parties will be able to access that information simultaneously and this is through the block chain application,” says Mr Ngwenya. But a source at KCB Bank Uganda – one of the largest providers of trade finance – told The EastAfrican that it is too early for these innovations to reduce the role of commercial banks to the periphery in international trade. “Customers still rely so much on banks to ensure payment,” he said. In 2014, the Comesa Council of Ministers decided that member states that were ready to accept and use the e-CO should do so by July 31 of that year. The Council also wanted the designed digital applications to ensure that they integrate small and medium enterprises – which make up over 90 per cent of the employment base in Comesa for its 492 million citizens, according to the bloc’s data. In March this year, Malaysia launched its digital free trade zone (DFTZ) – a global first – that is expected to increase SMEs contribution to the country’s GDP, which currently stands at 37 per cent, despite 97 per cent of businesses in Malaysia being micro or small and micro enterprises. According to its website, the Malaysian DFTZ has the potential to increase the SME goods export to $38 million, create over 60,000 jobs and support $65 billion worth of goods moving through the DFTZ by 2025. Observers say, over this period the DFTZ will double the growth rate of Malaysia’s SMEs goods export.